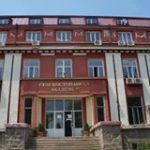 The Academy of Sciences of Albania (ASA), founded in 1972, is the most important science institution in the country. The ASA includes the most outstanding scientists – academicians – who work in research institute or centres, or other science organizations at home or abroad. It has 29 Regular Members, 11 Associated Academician Members and 26 Honorary Members. The ASA has 2 sections: the Section of Social Albanology Sciences and the Section of Natural Technical Sciences. Part of the structure are: the Unit of Technological Research and Innovation Projects, the Section of Foreign and Public Relations, the Scientific Library and Publications. 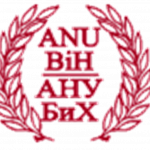 The National Academy of Sciences of Belarus (NAS of Belarus, or NASB) is the highest state scientific organization of the Republic of Belarus, a country in the middle of Europe. The National Academy of Sciences is reported to the President of the Republic of Belarus, accountable to the Council of Ministers of the Republic of Belarus and carries out the organization and coordination of fundamental and applied research performed by all subjects of scientific activities, provides fundamental and applied research and developments in the main directions of natural, engineering, social sciences, the humanities and arts with the purposes of obtaining new knowledge about human, society, nature and artificial objects, increasing the scientific and technical, intellectual and spiritual potential of the Republic of Belarus. 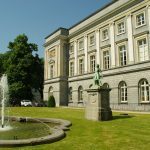 The KVAB is the Academy of Flanders, a learned society founded in 1772. 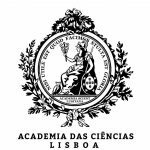 Entering the societal debate on scientific and artistic topics in a neutral and interdisciplinary way is the main task of the Academy. 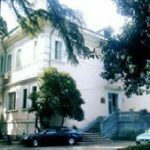 While Bosnia and Herzegovina was a part of SFR Yugoslavia, the Academy of Sciences and Arts of Bosnia and Herzegovina exercised international cooperation through the Academy Council of Yugoslavia, based on protocols which the Council concluded with other national academies. Селскостопанската академия е организация за научни изследвания, за приложна, обслужваща и спомагателна дейност в областта на земеделието, животновъдството и хранителната промишленост. 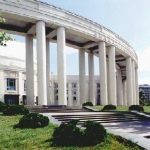 Осъществява дейността си в рамките на държавната аграрна политика в съответствие с общата селскостопанска политика на Европейския съюз. Има за цел земеделската наука да се превърне в мощен фактор за модернизация на производството в условията на глобалната икономическа и финансова криза. 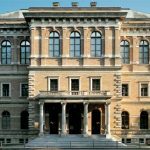 The Croatian Academy of Sciences and Arts has organized over one hundred scientific meetings and conferences, evaluating works of important Croats throughout history. In addition, it has organized a number of symposia focusing on the history and economic development of Croatian regions, cities and towns, as well as on the problems of Croatia's development. 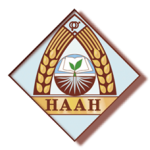 The Czech Academy of Agricultural Sciences (CAAS) is a specialized and professional scientific agricultural institution operating in the Czech Republic. It is a scientific advisory body to the Minister of Agriculture of the Czech Republic and was founded as a para-governmental organization of the Ministry of Agriculture of the Czech Republic on January 1st 1993 - after the division of the CSFR. Founded in 1938, the Estonian Academy of Sciences fosters frontier science, research excellence and competitiveness in Estonia while also representing Estonian science worldwide, e.g. in international organisations such as ICSU, UAI, ALLEA, EASAC, European Marine Board, CETAF, etc. It focuses on providing independent, highly professional scientific expertise and science-policy advice and strives to increase the visibility and impact of science in society. The Academy of Finland’s mission is to fund high-quality scientific research, provide expertise in science and science policy, and strengthen the position of science and research. We are an agency within the administrative branch of the Finnish Ministry of Education, Science and Culture. L’Académie d’agriculture facilite ainsi une ouverture en direction du public et contribue à nourrir les débats de société sur l’application des sciences et technologies à l’agriculture et à son environnement. Elle s’emploie aussi à établir des passerelles entre les scientifiques, les acteurs opérationnels, les décideurs et les citoyens tant sur le plan national qu'international. L’Académie organise également des rencontres et des visites auprès d’entreprises et d’organismes en relation avec son programme de travail. Georgian Academy of Agricultural Sciences, which was founded in 1957, is a legal entity unther the public law, an autonomous research institution with autonomous rights funded by the state. The Academy defines priority given scientific directions, coordinates scientific-research activities, acts as a sientific advisor to the the Government . The Academy is engaged in solving the problems the country is facing in a multi-specialized agro-food complex. Therefore, the specific activities of the Academy is multifunctional. Its purpose is to provide scientific sinergy of agricultural branches, in order to force the integration of science and maximally to use scientific potential. The Georgofili, ever-faithful to their historical role, continued to look towards the future and to turn their attention and commitment, but this time using updated technology, to the scientific, technical, economic and social problems which have spurred the evolution of the world of agriculture and have highlighted the new emergencies linked to the protection of the environment. 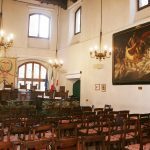 The Accademia has entrusted to its own Acts the task of spreading knowledge and maintaining its research patrimony, as well as the experimentation and innovation promoted by Georgofili, not only in the field of agriculture, but also in areas related to civilization, politics and economics. The main tasks of the LAAFS are: To recommend and to coordinate development directions in fields of agriculture, forestry, rural development, etc., to identify problems of these fields and to provide solutions for solving the problems; To take part in elaboration of normative acts and policy planning documents in the afore-mentioned fields; To cooperate with Latvian Academy of Sciences, Latvian Council of Science, ministries, Latvian University of Agriculture, scientific institutions, enterprises, and other non-governmental institutions in the field, inter alia in international level; To develop research in the afore-mentioned fields, to organise conferences, seminars and exchange of scientific information. The Lithuanian Academy of Sciences (LAS) was founded on January 16, 1941. In its activities, the Lithuanian Academy of Sciences is guided by its Charter ratified by the Seimas of the Republic of Lithuania and other legal acts. 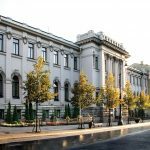 The Lithuanian Academy of Sciences is a budgetary institution that brings together the most distinguished Lithuanian scientists and foreign scientists whose academic activities are related to Lithuania. The LAS is an independent expert and consultant of the Seimas, the Government and its agencies on research and higher education, culture, social development, economy, environmental protection, health care, technology, and other issues. KLV is Wageningen’s largest alumni network, with more than 8000 members. The association was set up in 1886. 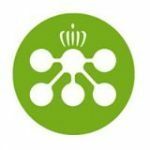 It provides a network for Wageningen graduates and for other professionals with links to Wageningen. KLV is the largest Wageningen Alumni Network offering unique networking opportunities for getting and staying in contact with Wageningen University, its students and alumni. Bioforsk, the Norwegian Institute for Agricultural and Environmental Research, conducts applied and specifically targeted research linked to multifunctional agriculture and rural development, plant sciences, environmental protection and natural resource management. The Polish Academy of Sciences is a national research institution founded in Warsaw in 1952. Our mission is to work comprehensively to further the advancement of science, in the service of society and for the enrichment of Poland’s national culture, while adhering to the highest standards of research quality and ethical norms. The Academy is an elected body of scholars, including national members (ordinary and corresponding members) and also foreign members. The number of national members is limited to a maximum of 350. New members of the Academy are chosen by the General Assembly from among candidate scholars who have made outstanding contributions to their fields and command respect among the scientific community. The Academy of Agricultural and Forestry Sciences “Gheorghe Ionescu-Şişeşti”, (A.A.F.S. ), is the Romanian national scientific forum for coordination of the research and development activity in agriculture and academic acknowledgement. The Russian Academy of Sciences (RAS) is one of the leading research organisations in the world and the largest centre for fundamental research in Russia. With the use of government funding, the scientific institutions of the academic system carry out fundamental and applied scientific research in the areas of natural, technical, humanitarian and social sciences, directed at the acquisition of new knowledge on the laws of environmental, societal and human development. The Academy of Engineering Sciences of Serbia (AESS) is a scientific institution that brings together distinguished engineers and scientists from the field of engineering sciences with a goal of developing, stimulating and organizing engineering and technical sciences and their application in industry and other fields of activity. SAAS is learned society, created by a group of members - scientific workers and specialist in the sphere of agriculture, nutrition, food industries, veterinary medicine, forestry, water managment, creation and protection of agricultural and forest landscape and development of countryside. The Academy is state scientific organization based on state ownership and uses the rights of self-government body that resides in collegial governance and its selectivity, self-determination of its structure and themes of research, solution of scientific, organizational and personnel issues, economic activities and implementation of international scientific communication grounding on the laws of Ukraine. 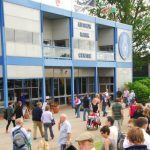 Innovation for Agriculture (IfA) is a consortium of 15 English Agricultural Societies; through the creation of technical centres around England, IfA delivers new science and innovation to farmers via its website, publications, conferences, seminars, workshops, on farm demonstrations and new media.